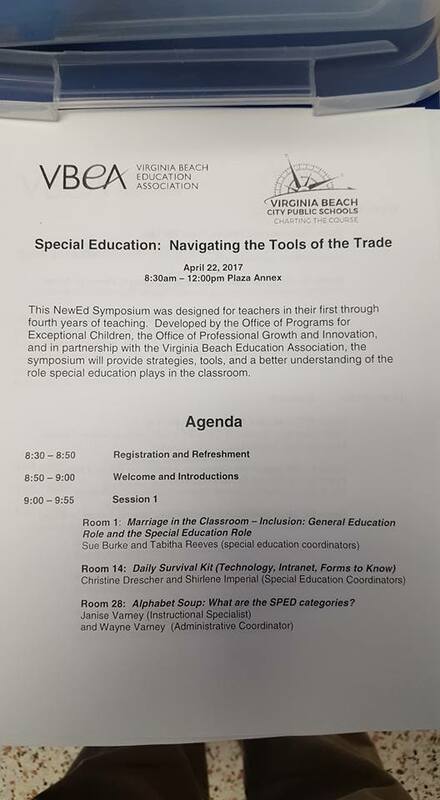 On Saturday, April 22, 2017, Sixty-five (65) NewEd teachers gathered at the Plaza Annex for the NewEd Symposium, Special Education: Navigating the Tools of the Trade. Clearly there is a need within the division to provide professional development that provides information to our newest educators. The VBEA will be offering more of these sessions next school year.